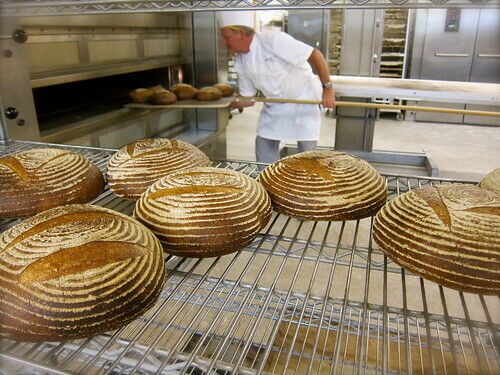 It used to be the challenge was in sourcing locally grown grains. 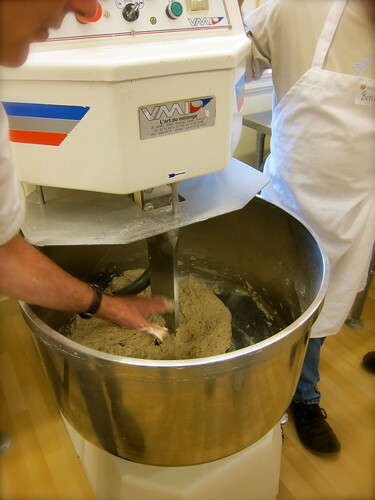 As their availability increases, so is the knowledge about baking with them. 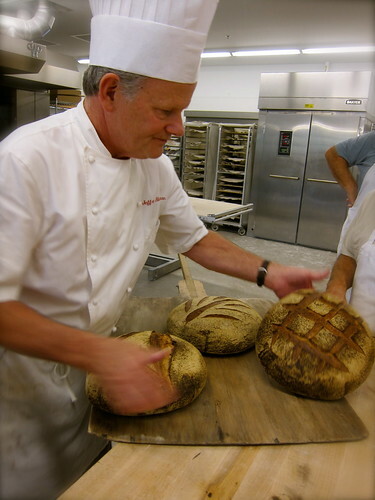 At the forefront of passing on this knowledge is Jeffrey Hamelman of King Arthur Flour, who offered a 2-day class on baking with locally grown grains this past year. 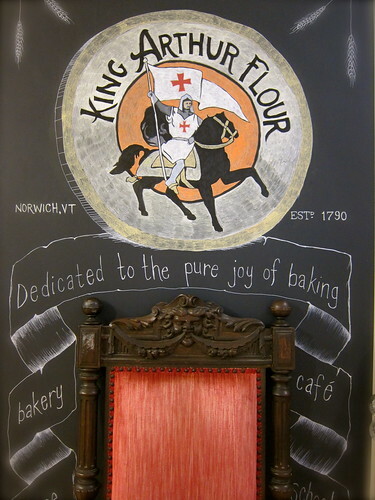 Located in Norwich, Vermont, the class was held at their Baking Education Center. 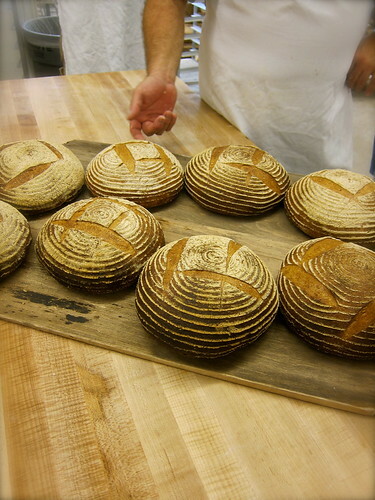 Clockwise from top: Nitty Gritty Grain Store white, and Gleason Grains and Butterworks Farm whole wheat flours. 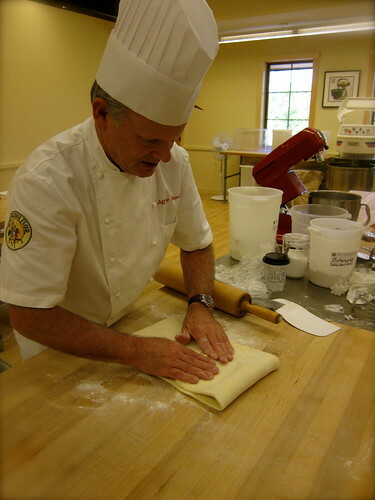 We started off with Blitz Puff Pastry, made with a combination of whole wheat pastry and white flours. 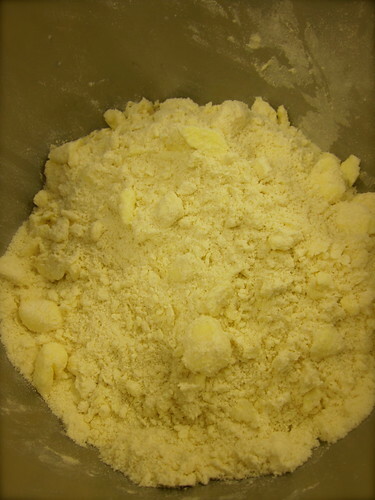 Above: Butter mixed into the flour until broken into chunky shards; demonstration on giving the dough a book fold. 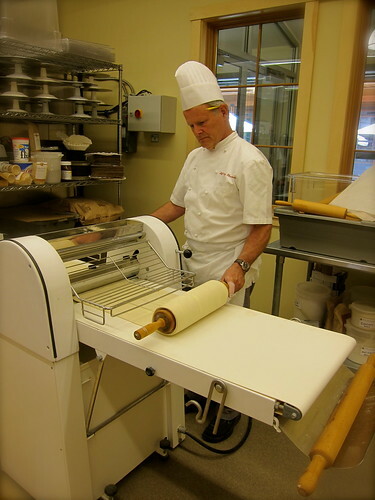 Jeffrey rolling out the puff pastry on a dough sheeter, in preparation for baking into vegetable pies and cheese straws. 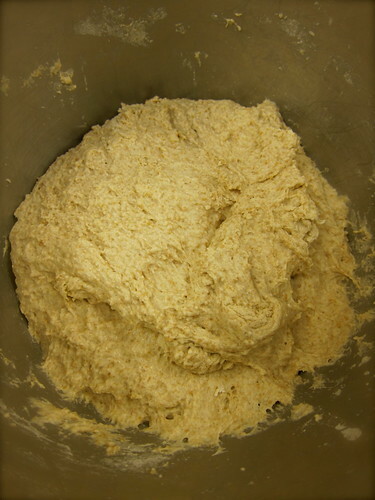 We also made a batch of scones using sifted whole wheat pastry flour. 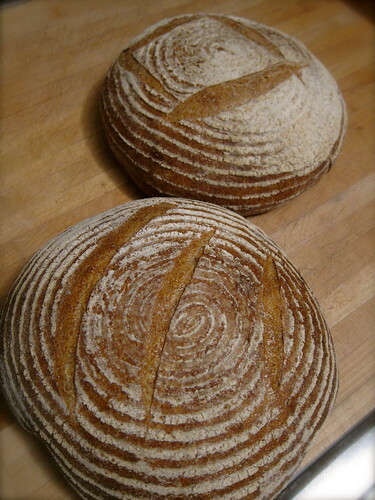 We also tested out the flours with two breads, one with yeast and the other without. 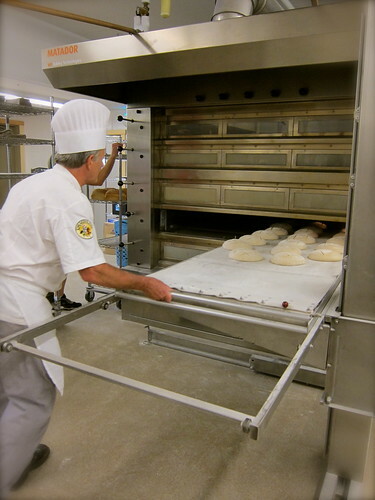 In the end, the yeasted loaf had tremendous loft and structure. 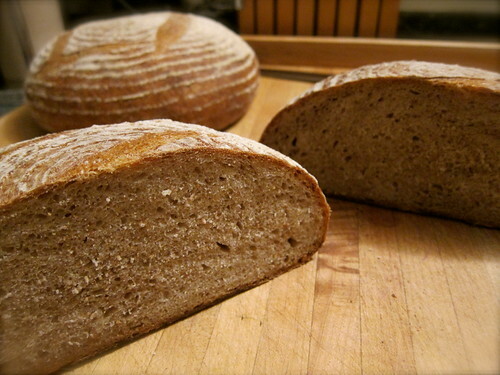 The one made with a culture was slightly denser, with the sourdough flavor more then compensating. – Nitty Gritty Grain Co. 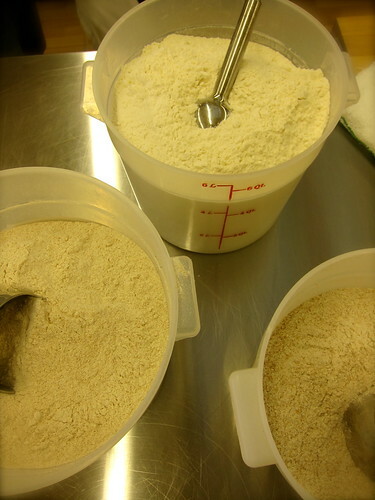 This entry was posted in cooking, field trip and tagged baking, flour, local flour. Bookmark the permalink. Hi Judy, we consider ourselves lucky indeed! 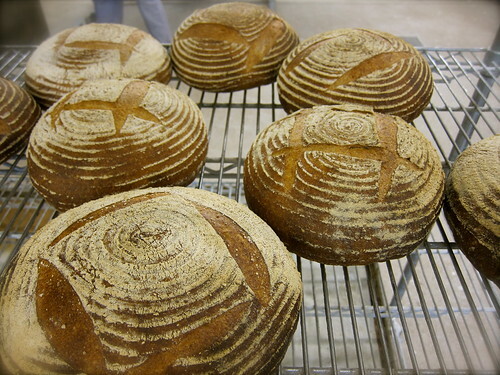 We’ve just run out of the bread from this workshop, time to take another one! Hi Liz! The wonderful think about both gardening and cooking is how it’s an ever expanding opportunity to learn new things! 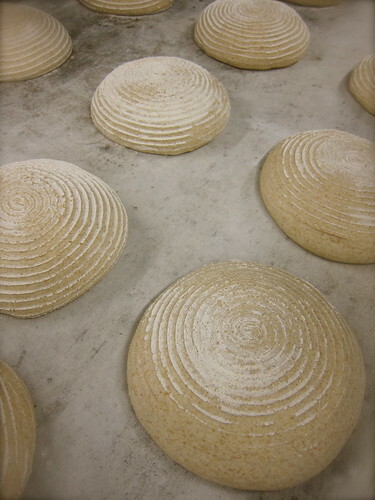 Love the ridges on top. You guys have the most instructive/cinematic posts. 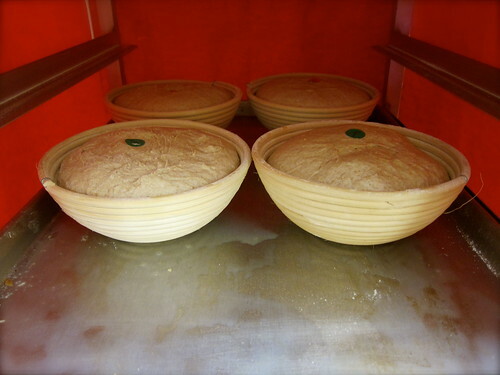 The bread loaves look amazing. 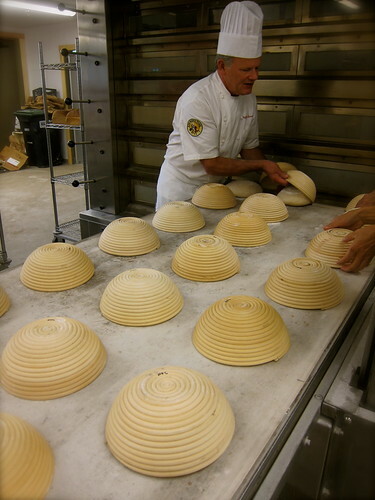 But I’m suspicious since none of the bakers look like the one in Moonstruck. Azita, this is the second time you’ve mentioned one of my all-time favorite movies!